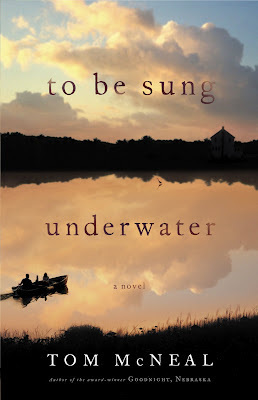 I saw To Be Sung Underwater: A Novel by Tom McNeal at the library and checked it out for two reasons: My maiden name is McNeal. You hardly ever see it spelled like that. And there's a blurb from Markus Zusak on the back which says, "You don’t so much read To Be Sung Underwater as you’re consumed by it. The characters are unforgettable. The writing is staggering. More importantly, though, it’s the courage of this book that sets it apart. It’s the bravest, most beautiful book I’ve read in a long time.” I take what Markus Zusak says very seriously. The characters are unforgettable. The writing is staggering. But it sort of gave me the creeps. I don't know. I wouldn't call it beautiful. It's about this lady who suspects her husband is having an affair and then she starts thinking about her first true love. You learn about their courtship as the book unfolds. In the end, they meet after 20 years. Willy, the first true love sums up their relationship, "For you I was a chapter--a good chapter. Maybe even your favorite. But for me you were the whole book." I didn't really like anyone in the book and it made me feel uncomfortable. If you've read it, tell me if it gave you the creeps. Sometimes I just get the creeps. 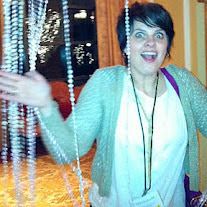 HI Kacy: I just found your site from Cjane and its funny this was the first post I read. I tried, really I did, to read this book. But like you I couldn't get into the characters. The book confused me and I returned to the library before I even got to 4th Chapter. So thank you for letting me know I didn't miss anything! I tend to not like books that are heavy on the infidelity. That being said, have you read Sarah's Key?